Welcome to Morepork Riverside Lodge. 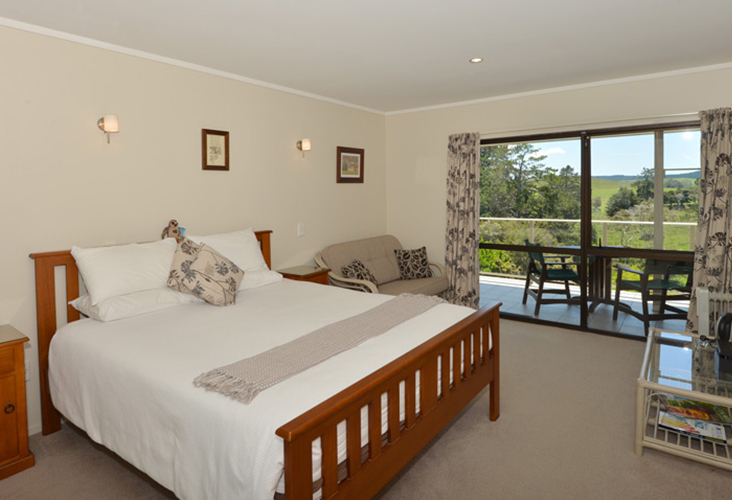 We offer high quality B&B accommodation with friendly homestay hospitality. 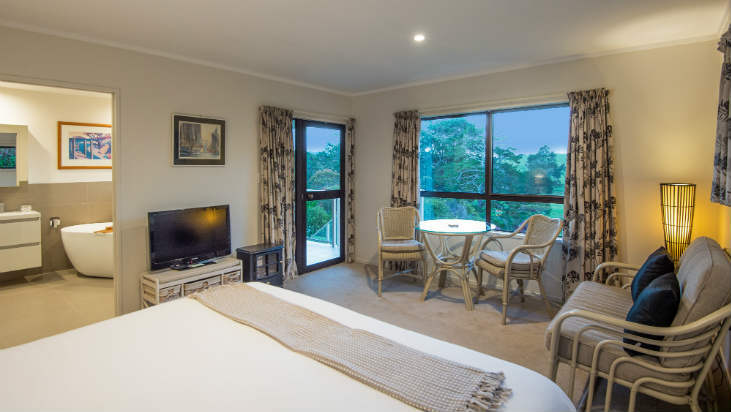 Set in 1.6ha/4acres of native bush and gardens on the Waitangi River, we are conveniently located just outside Paihia township on the way to Kerikeri – a great base from which to explore The Bay and the rest of Northland. We are both born-and-bred Kiwi’s and we’re proud of our beautiful little country! We have travelled extensively in the Pacific, some parts of Europe, and of course throughout New Zealand. Paul is a qualified Scuba Diver and Barb’s interests include New Zealand history. We manage our property using organic principles and we’re pleased to be the only property in Paihia to have been awarded the Gold Level in the TripAdvisor GreenLeaders® program. We also adhere to the Tourism NZ ‘Sustainable Tourism’ program. 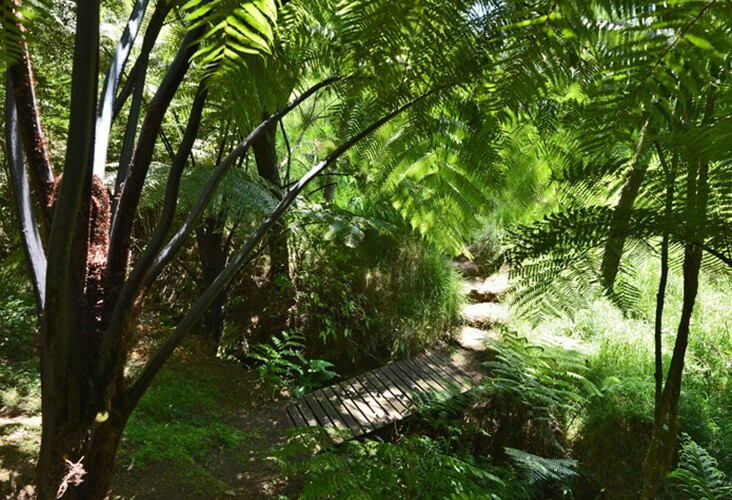 Enjoy a quiet stroll through our native bush and down to the Waitangi River at the bottom of our garden. There are many birds around Morepork Lodge including New Zealand’s native owl, the Morepork (Ruru in Māori). Rest, read, or picnic on the rustic picnic table while listening to the wildlife and the sound of the river. 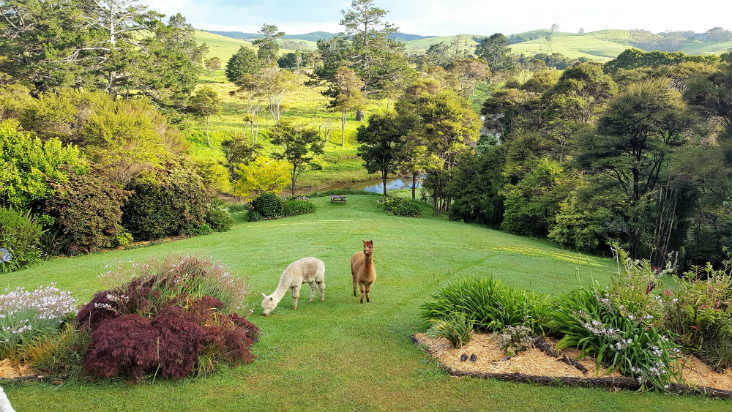 Walk through our small olive and citrus grove to feed our friendly alpacas in their paddock. We serve a sumptuous breakfast of fresh fruits, cereals, breads, eggs, cheese and cold meats on our large Kauri table in the dining room. Our Free-Range chickens provide us with fresh eggs. If you’d rather, we can serve a continental breakfast on your deck.